With over 35 years of new roofing experience, we provide high satisfaction at competitive prices. Get a Free Roofing Estimate. Work with New Jersey's most trusted roofing contractor. At All County Exteriors, the roofs we install are comprised of materials from the nation’s leading roofing manufacturers. We are only one of a few GAF Master Elite roofing contractors in Ocean and Monmouth Counties. To date, only 3% of roofers nation wide qualify to be a GAF Master Elite Contractor. We also install roofing form Owens Corning and CertainTeed as well. How old is your roof? Are your shingles curling or missing? Is debris building up on your roof? Do you see any dark patches? These are questions you should be asking yourself when evaluating your roof, as they could be signs you need a replacement or new roof installed. Whether you own a residential or a commercial property, All County has you covered. roofers stand by every day. 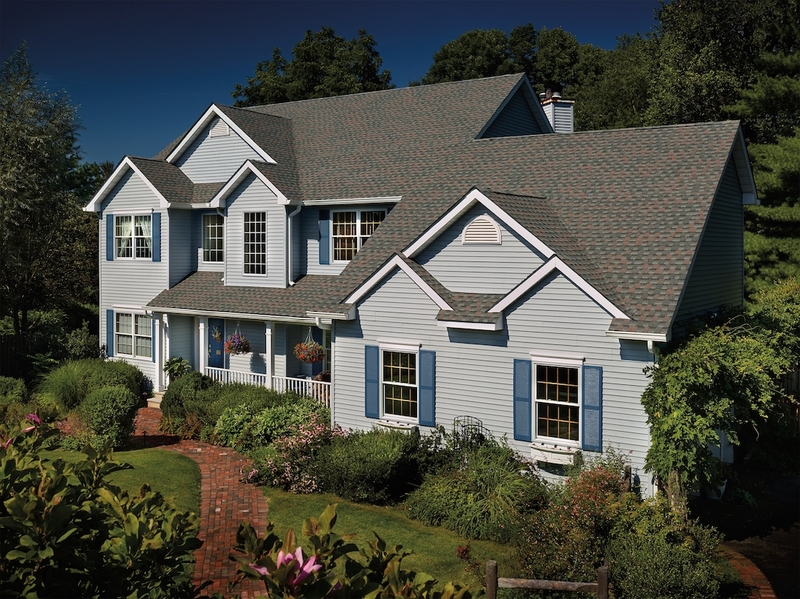 Help improve your home’s resale value with Timberline HD® Shingles from GAF. Timberline HD® Shingles will not only protect your most valuable asset, but also improve the look of your home for years to come. You can rest assured knowing Timberline® High Definition® Shingles with Advanced Protection®Shingle Technology are the #1-selling shingles in North America. When you install a GAF Advanced Protection® Shingle, you’re getting the very best combination of weight and performance that modern technology and testing can deliver. All County Exteriors offers the following roof types and materials with our new roofing services. as Your Roof Replacement Contractor? We guarantee our workmanship in writing. We have over 35 years of experience providing our customers with high satisfaction at competitive prices. We are committed to safety. Our fully insured roofers place the highest emphasis on workplace safety. We use high quality materials. For example, our GAF Shingles come with a lifetime manufacturer’s warranty. We earned the GAF Master Elite Roofer designation and an A+ rating from the Better Business Bureau. If you choose All County, our crew will begin work according to an agreed-upon schedule. We will perform a final inspection to ensure the work meets both our standards. Asphalt shingles are widely used for roofing as they are relatively inexpensive and easy to install. The asphalt is used for waterproofing. Higher in initial cost, but provides greater durability. Seams are raised above the roofing panel. Cedar shingles are energy-efficient and eco-friendly. Flat or low sloped roofs can offer advantages such as improved heating, cooling, and maintenance requirements. A natural stone product, slate shingles provide beauty and longevity.